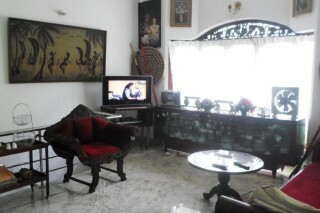 A conveniently located property in the famous Kandy city in Sri Lanka, offering a variety of facilities and services. Within a walking distance to all the famous attractions, shopping and entertainment in Kandy. While your visit in Sri Lanka, stop at this boutique stay to discover the wonders of Kandy. We offer best accommodation rooms at low rates with an excellent experience for every guest, every time. It is less than 1 km to the Temple of the Tooth and the Kandy Lake. Only 6 km to Peradeniya Royal Botanical Garden. Pinnawala elephant orphanage can be reached in just 60 minutes. Less than 2 hours drive to Dambulla Cave Temple and to Sigiriya Rock Fortress. Not more than 2 hours drive to Nuwara Eliya the beautiful hill country of Sri Lanka. It is your one-stop destination for quality accommodations in Kandy. The accommodations have been carefully appointed to the highest degree of comfort and convenience, with hair dryer, shower, hot water, internet access (wireless or LAN) and ironing facilities in each room. It offers fantastic facilities, including a green and cool garden, to help you unwind after an action-packed day in the city. The facilities and services provided here ensure a pleasant stay for guests. A selection of top-class facilities such as 24hr room service, family rooms, babysitting, laundry service/dry cleaning can be enjoyed here. This is a quality stay with a variety of facilities and services to ensure a pleasant and memorable stay. 24hr room service. Family rooms. Babysitting. Restaurant. Smoking area. Garden. Laundry service/dry cleaning. Hot water. Free Internet access (LAN or WiFi). Car park. Tours. Airport transfer. The guests are requested to provide valid identification at the time of check-in. Pets are not allowed.